SunPower’s solar carports, canopies and shade structures are designed by a talented team of in-house architects and engineers who work to help you reduce your energy costs, enhance the value of your real estate and strengthen your commitment to sustainability. 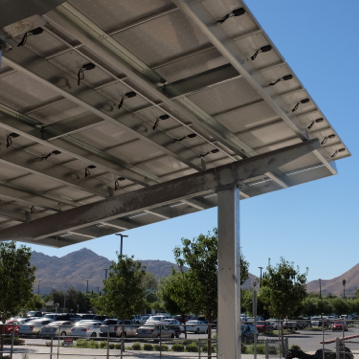 SunPower’s elegant approach to solar carports helps strengthen your brand reputation by putting your solar initiatives on display to customers, employees and the general public. 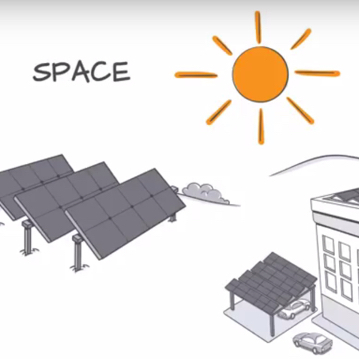 When limited space, structural integrity or operational concerns limit rooftop installation, SunPower’s robust portfolio of carport solutions can help address your energy needs. 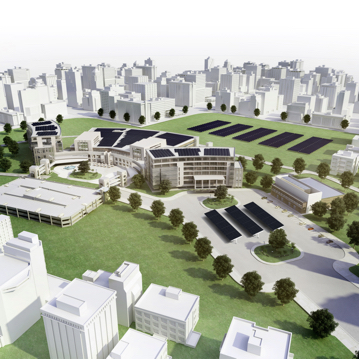 Not only can SunPower help you monetize space that is already in use, but we can extract more value by integrating capabilities such as water management systems that capture storm water runoff for re-use in onsite irrigation. Employees and customers enjoy the simple luxury of shaded parking, shielding their vehicles from heat, snow, ice and rain. Add-ons such as EV charging stations and integrated lighting offer them even more value. Saving an estimated $3 million a year on electricity to maintain a robust arts program and help prevent future school closures. 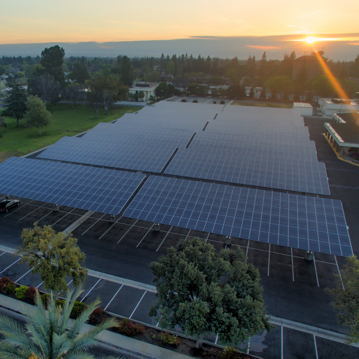 Johnson & Johnson is producing clean energy from SunPower® solar panels at eight facilities. Expected to save the district more than $1.2 million on energy costs. Your facilities are an important reflection of your organization. That’s why we painstakingly design our carport systems for maximum performance, as well as seamless integration into their surrounding environment.